Over the past century, the explosive growth of scientific, technical, and cultural disciplines has profoundly affected our daily lives. However, processes of enculturation in sites such as graduate education that have helped to form these disciplines have received very limited research attention. In those sites, graduate students write diverse documents, including course papers, departmental examinations, theses and dissertations, grant and fellowship applications, and disciplinary publications. 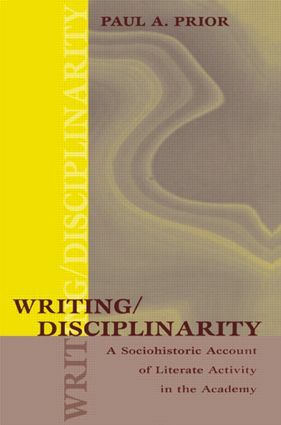 Thus, writing is one of the central domains of enculturation--an activity through which graduate students and professors display and negotiate disciplinary knowledge, genres, identities, and institutional contexts. This volume explores this intersection of writing and disciplinary enculturation through a series of ethnographic case studies. These case studies provide the most thorough descriptions available today of the lived experience of graduate seminars, combining analysis of classroom talk, students' texts and professor's written responses, institutional contexts, students' representations of their writing and its contexts, and professors' representations of their tasks and their students. * disciplinarity as a deeply heterogeneous, laminated, and dialogic process. This blend of research and theory should be of interest to scholars and students in such fields as writing studies, rhetoric, writing across the curriculum, applied linguistics, English for academic purposes, science and technology studies, higher education, and the ethnography of communication.